I can now watch 4K videos with ease. I've got a couple of cameras that can shoot in 4K, and earlier this year I bought a 4K monitor. I could plug a 4K camera directly into the monitor to watch real 4K, but I couldn't watch 4K videos from any other source in 4K because my old Mac Mini (2012 model) could do no better than 1080. But finally, last month Tim Cook announced the new Mac Mini, greatly enhanced and with the ability to handle 4K. Here's a test video I used: Driving Downtown - Los Angeles 4K - USA. 4K videos of Oahu, or aerial flights over Paris are quite lovely. But to judge the technical abilities of my hardware, I need to look at something familiar. Three hours of downtown Los Angeles in 4K...on a Sunday, so the traffic is unusually light. For the new Mac Mini I went with the "3.2GHz 6‑core 8th‑generation Intel Core i7 (Turbo Boost up to 4.6GHz)." On all previous models of Macs that I've owned, I've maxed out the RAM, but the max on the new Mini is 64GB! That would cost an additional $1,400. I don't think I've had a computer before that could hold more than 16GB, so I decided I could probably live with 32GB of RAM on this one. And I got the 1TB SSD drive. The 4K is beautiful and realistic. 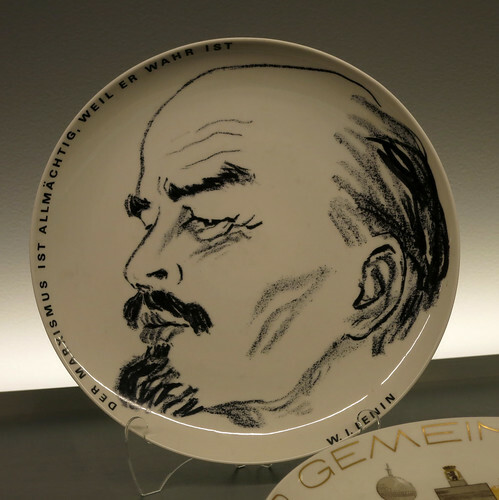 I recently visited the Wende Museum of the Cold War in Culver City, which had been on my gotta-see list for quite a while. Open to the public Friday, Saturday and Sunday; no charge for admission; check the website for variations on that. 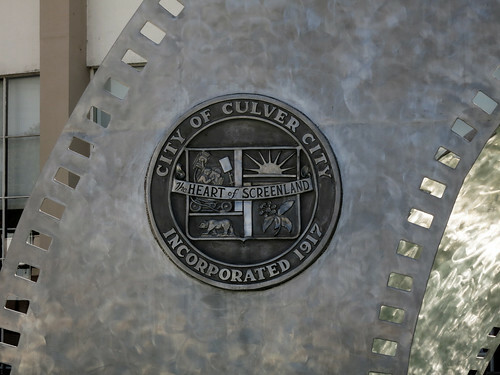 It's right next door to Veterans Memorial Park which is right next door to Veterans Memorial Auditorium. 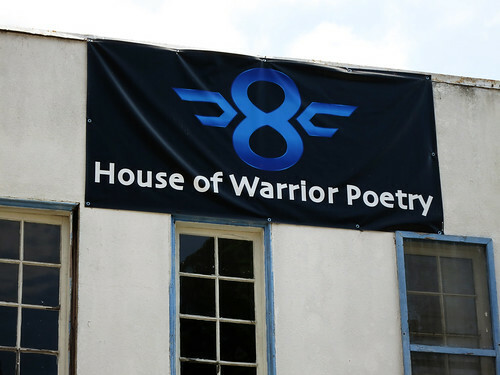 On the other end of the museum sits the House of Warrior Poetry (Dance. Parkour. Acrobatics. Action Arts. Yoga. Movement.). 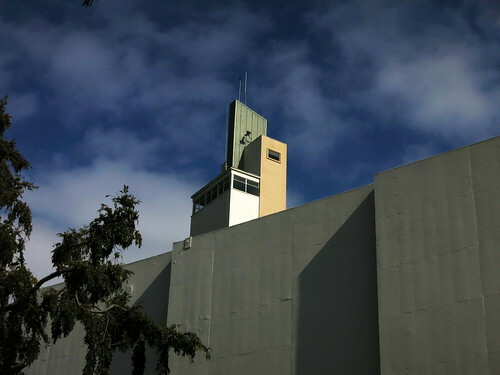 Veterans Memorial Auditorium - the marker out front was placed in 1950, so call it 1950. 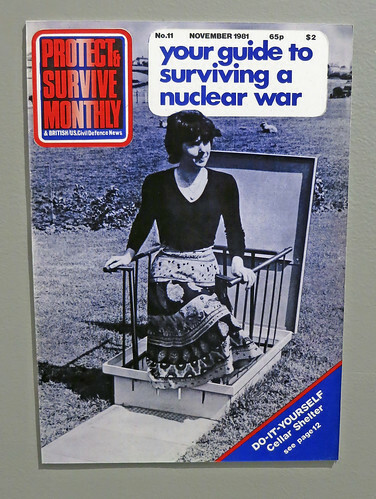 In the museum I thought the cover of this magazine said "1961." Only when I went to edit it did I see it was actually 1981! It sure has the look of 1961. 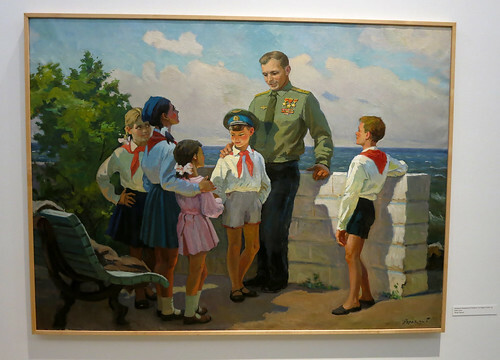 Yuri Gagarin hanging out with kids. Aerion Corp. of Reno is developing a supersonic airplane that could carry 12 passengers. Their intent is to develop a plane that would not require any change in regulations in order to fly legally. The plane would fly at just below the speed of sound over land, so there would be no sonic boom, with speed increasing to Mach 1.6 over water, but they say it will be able to fly at Mach 1.2 without generating a sonic boom. Target price is $120 million. Twenty-three jets have already been sold at that price. The first flight is planned for 2023. IMAGE was a satellite launched in 2000 that suddenly stoped broadcasting in 2005. NASA declared it dead after 2007. They had waited that long to see if the batteries would drain which would trigger a reset that might make everything right again. Then in January 2018, amateur radio astronomer Scott Tilley quite accidentally found IMAGE happily broadcasting away. They think the battery-drain-triggered reset happened sometime later than 2007. Here’s the news story about Strava posting a “global heat map” of fitness tracker usage. The news concerns what it reveals about military bases, but I looked at the Strava heat map to see if it told me anything about Desert Hot Springs. It seems to me that someone (or ones) in Mission Lakes Country Club are doing a lot of exercising. Some of the more heavily used routes around DHS are where cyclists ride, including the upcoming Tour De Palm Springs. This was supposed to be a display of a heavy lifting drone, but instead they had to complain about the help. 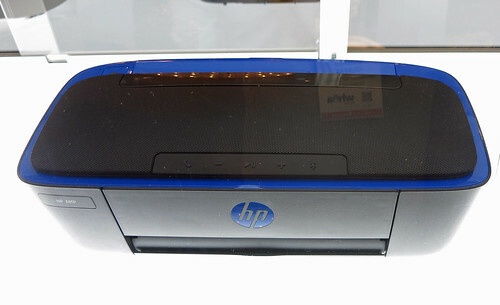 HP AMP is the first printer designed to enable seamless print and scan functions plus the ability to stream audio directly from a smartphone or tablet. The custom HP speakers with clear voice and exceptional 360° sound are backed by world class technology and HP's leadership in the print industry. This exhibit showed some Burning Man influence, IMO. The real warning signs about what we are supposed to realize is fictional. Or is it? Bit of a risk, maybe, with people coming from all over the world. 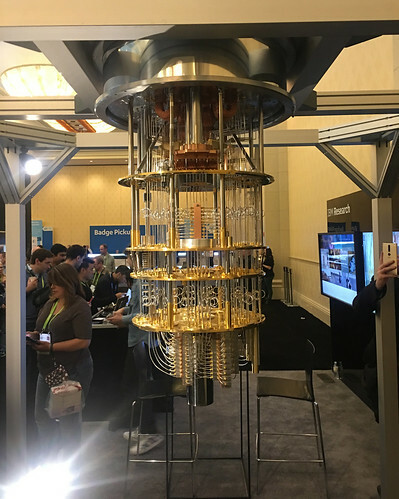 IBM had this on display and said it is a quantum computer! I certainly have no basis to doubt them. 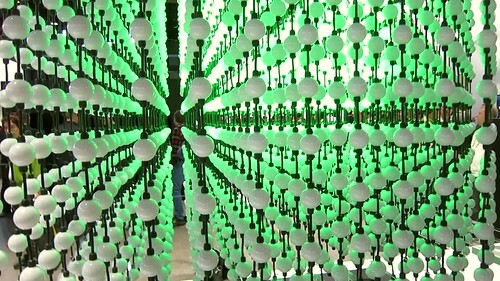 Until I saw this, I couldn't have said for sure if quantum computers actually existed as a physical reality or if they were still virtual while they worked out the details. 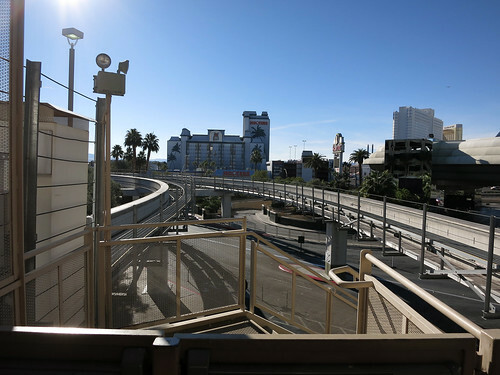 Las Vegas Monorail tracks at MGM Grand. This was my first time using the monorail. The train cars are pretty much the same as mass transit rail cars in any city, but I thought it was pretty interesting that in the city known for bright lights, flashiness and surprising architecture, the subway stations are very plain and functional looking. It's probably a good model for any city that wants to keep expenses down, but taxpayers seem to like beautiful train stations. High End Audio preamplifier Designed to complement our flagship line of products called HD, for high definition. 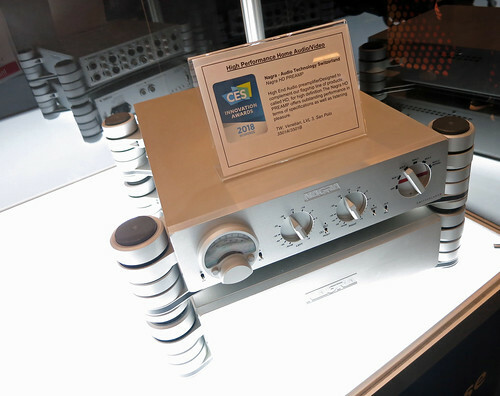 The Nagra HD PREAMP offers outstanding performance in terms of specifications as well as listening pleasure. Sounds like more of the incremental improvement in audio that's been going on since Edison recorded "Mary Had A Little Lamb." 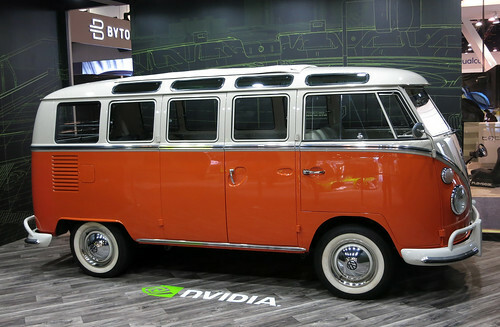 I've no clue why this VW Bus was at the Nvidia exhibit. It was after 6 PM when I saw it, and the convention was technically closed for the day, so no Nvidia people were around to clue us in. I really like these things, but ya know what's got to happen? Cropping. The display looks like the relatively standard 16:9 aspect ratio, and not every master through the ages made paintings to that exact ratio. You will be given the choice of cropping or letter boxing, and I am sure most people will crop because it just looks neater. 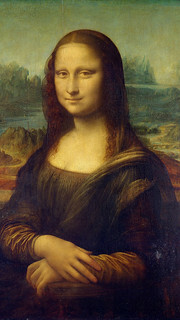 Below, for example, is the Mona Lisa cropped to a 16:9 ratio. 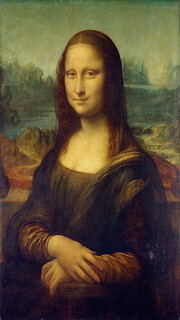 I made a guess as to where Leonardo would have chopped off her elbows to do this. 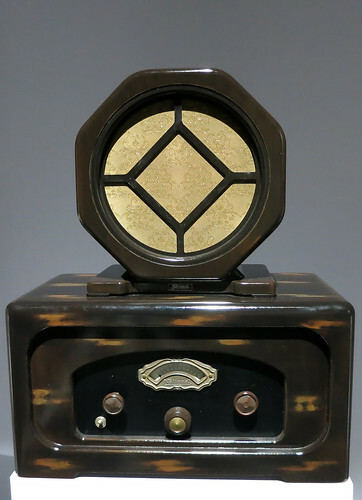 An early Matsushita radio that was part of an exhibit of the history of Matsushita/Panasonic. Part of the Rem-Fit Be Better In Bed exhibit. 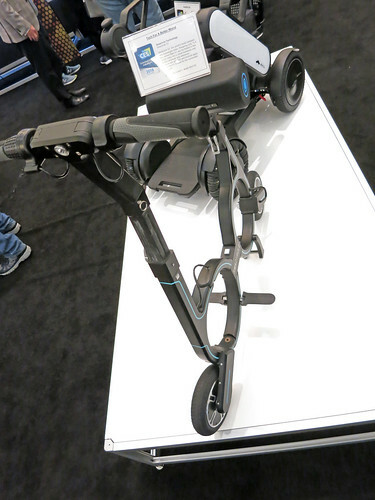 "Magnetic Assisted Tap" is what they call this electric bike which won an innovation award. MAT connects online-bike and smartphone wirelessly. 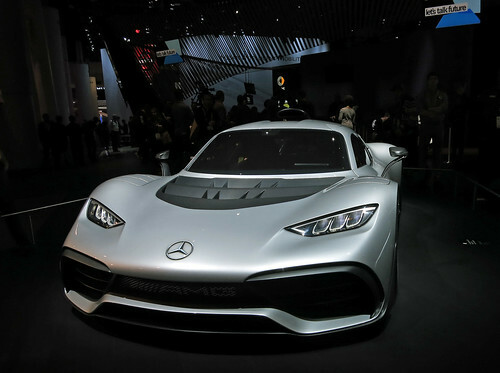 Its unique magnetic technology provides total vehicle control in one gesture. Edquipped with lock, security cable and handlebar remote control, MAT recognizes the user, disables the GPS anti-theft and enhances the riding experience. 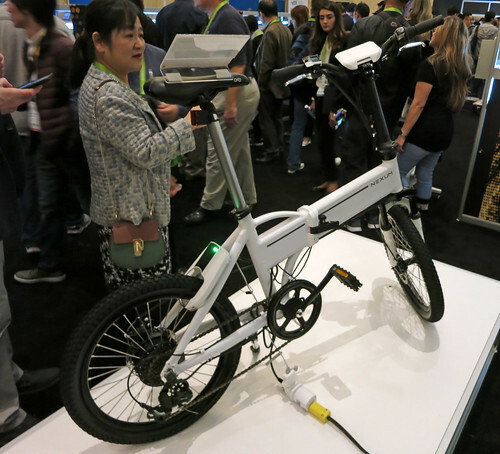 Smarcircle S1 folding electric bike, an innovation award winner. Smarcircle S1, the world's most compact and lightweight ebike. Weighing only 15.4 lbs, carbon fiber S1 can be folded in five simple steps into a small backpack and carried wherever and whenever. Feature-rich with iOS and Android apps, SMarcircle S1 is ideal for the connected commuter. I thought it was a little odd that through all of CES in these sort of public descriptions of anything, they used imperial measurements, even though you know every single thing at CES has metric dimensions and every single attendee understands the metric system. Are they that concerned that some American (or Liberian or Burmese) yokel will wander in and be confused? Oh my, I didn't know the term had been changed to "United States customary units," seemingly absolving the British Empire of blame. 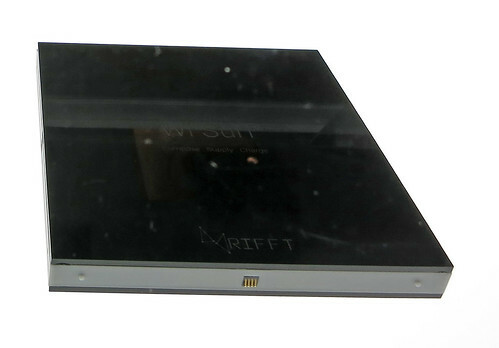 Wi Surf (Wireless Surface) is the world's first customizable and wireless modular induction charger and power supply station. It allows users to supply any device with direct current up to 60 W (per unit) and to remove 90% of cables and chargers from house, office and workshop. Emphasis added by me. The percentage of cables I have that serve power is way blow 50%. So if this thing can get rid of 100% of chargers, how many cables does it need also to get rid of in order to make that 90% claim accurate, considering that everyone has way more cables than chargers? 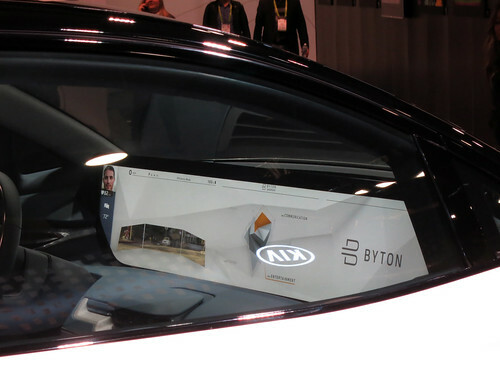 The dashboard display in a Byton, which is a Chinese knock-off of a Tesla. 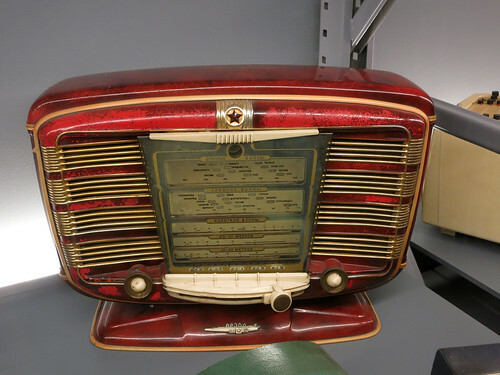 I think that down lower, mostly out of sight are some elements of a classic, physical dashboard. There's got to be some place for an interface within easy reach of the driver. I don't think they're relying solely on voice commands. 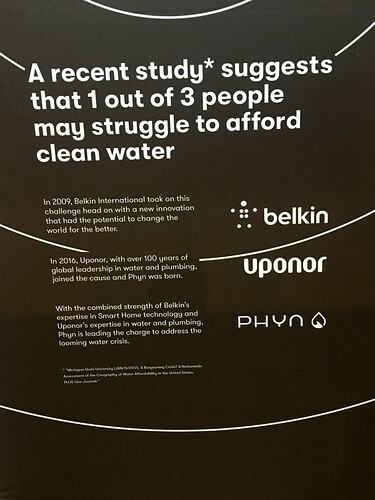 This was at an exhibit for what looked to me like a very capital intensive system of products to detect leaks, assure cleanliness, and avoid waste of water in a residence or business. 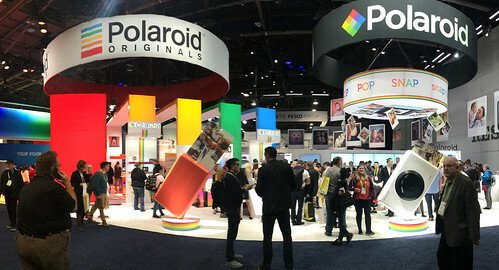 The huge display at the Sony exhibit. It's a video, so click on it. 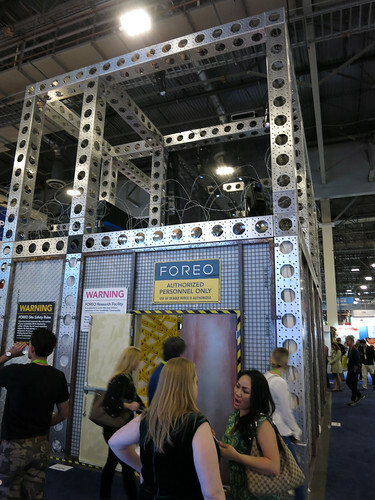 My complete set of photos from CES can be seen here. 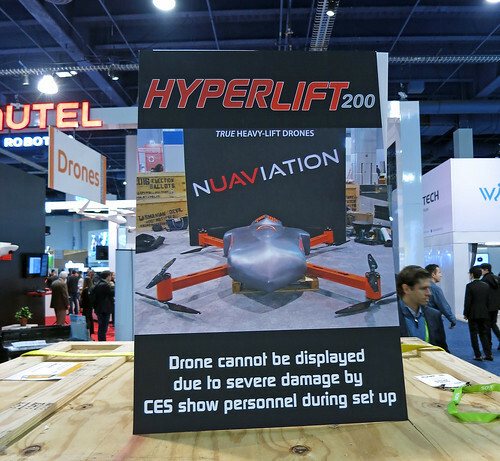 I'm just back from two days at CES in Las Vegas and here's a video of one little thing I saw. This costume would, I believe, be acceptable at Burning Man, but wouldn't draw a crowd. 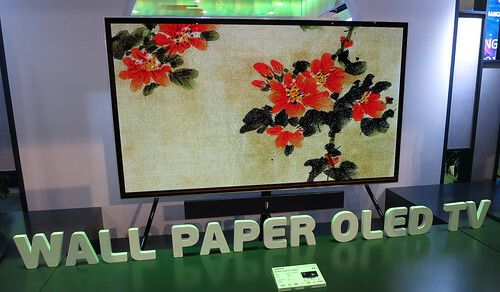 BTW, this company (Hisense) was displaying a 150-inch dual laser TV (in a darkened room) that was just stunning. Supposed to be easier on the eye because the laser light is reflected to your eyes rather than beamed directly as an LED screen (for example) would. Won't be on the market until later this year. 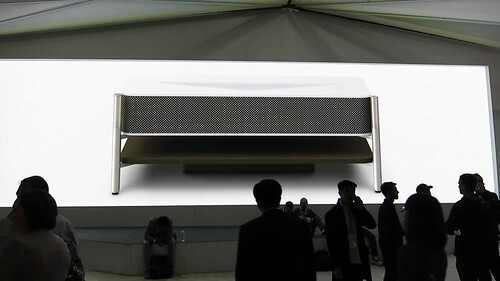 They wouldn't estimate a price other than to say it will be more expensive than their 100-inch single laser display. That one goes for $30,000. Still science fiction. Their website. If you enjoy watching the military jets over the greater Death Valley area, you may like this story. Download links can be found here. At the moment, it's only fully supported in Photoshop CC 2017. But it will work in monochrome on any Mac...and I assume Windows, too. If you don't want to watch the whole thing, start it at 22:25 which may seem a bit early, but I think you'll find it entertaining. There's some great photography on this 100% successful mission that launched from Vandenburg. Cameras on the first stage give you a few glimpses of much of the coast of California (mostly clear everywhere, it seems) as it ascends. You also get to watch the perfect descent from the POV of the first stage. The second stage gets screen time too. Maybe I've just missed it before, but the speedometer constantly displayed in the upper right is new to me. I notice that the speedometer and the altimeter both have red lines. What happens if it red lines? It's not going to throw a rod. Does it mean it's overreached and achieved escape velocity? Milky Way here we come? Over the last week I've had my first go-round with Spectrum, which has taken over Time Warner Cable, and it is not good. I've been paying about $80/month to Time Warner for internet service only, 30 Mbps download, 5 Mbps upload. I've been getting mailers from Spectrum that seem to say they are offering internet at 100 Mbps for only $30/month. But if you read the fine print you'll see that's only if bundled with other services that I don't want. So I called Spectrum a week ago, Friday, October 28 to inquire. The deal I was given then was a bundle of only phone and internet, for a total of about $60, and the internet would be 100 Mbps. But they had to give me a new modem to handle the phone. The sales person said the 100 Mbps would be available within about 10 minutes (!) and the modem would be shipped FedEx and arrive Monday or Tuesday. An hour later my internet was NOT 100 Mbps (using Speakeasy speed test), so I called sales again. Got a different person who said my order was "incomplete," and it wouldn't be complete until I got that new modem. He said that even though the modem I have now could handle 100 Mbps, they would not upgrade me until I received the new modem. It was not a hardware limitation, but solely a policy decision by Spectrum not to give me what I want immediately, even though they could do it. Further, this sales person told me that when I received the modem via FedEx I didn't have to do anything. My speed would simply jump up to 100 Mbps. I wouldn't have to call Spectrum or even install the new modem. The mere receipt of it would, of course, FedEx would update its tracking and Spectrum would see that I had it and that would trigger whatever needed to happen. This seemed weird and unbelievable, but it satisfied me, because I didn't want phone service at all. My intent was to never take the new modem out of the box, get my 100 Mbps internet for only $60 for a year, and then when the special offer ended in a year I'd figure out what to do then. On Monday, I got a call from Spectrum saying I needed to listen to instructions about my upcoming new phone service. What that is, is the explanation of how 911 works and how 911 may not have the location of my phone for a few days, and that if I moved I needed to update my info so 911 would be updated. No problem. Except I had listened to those instructions on Friday as part of the first sales call. I told this caller that, and she said there was no record of it. I told her if she needed to play some recording for me, then go ahead and play it. She played a recording, but it wasn't about 911. Sounded more like a sales offer. Then it ended. So I hung up. By Wednesday I still had not gotten the modem and my speed checks showed my 30 Mbps had had actually fallen to less than 10 Mbps (sometimes less than 5! ), so I called tech support. They could not find anything wrong, so they scheduled a tech visit for Friday, November 4 (today, as I write this). While I had the tech on the phone I asked him about the modem and he told me it would be delivered later on Wednesday. The modem was never delivered. On Thursday my service was back up to 30 Mbps and that seemed stable throughout the day, so late in the day I called Spectrum to cancel Friday's tech appointment. The technician I got on the phone, though, only wanted to talk about a service appointment he saw that had been scheduled for the same day I was calling, Thursday, from 10 AM to 7 PM! But that service call had been cancelled. Also, my entire order from last Friday had been cancelled. And he couldn't find any tech appointment for me on Friday! So, everything I had called Spectrum about over the last week had just disappeared. So the tech on the phone offered to re-send the modem, but I asked if I could just go pick it up at the local office, so he set it up that way. Today, Friday, I went over the Spectrum office on Palm Drive whereupon I was told by the service person that the ONLY way I could get 100 Mbps was to pay $99/month plus a $199 activation fee! So I told her to forget the modem and came home empty handed. I called Spectrum sales again and asked what kind of deal I could get on internet. I was told I could only get a bundle of TV, phone and internet, for a total of $90, which is more than I'm paying for internet now, so I didn't want that. All I really want is faster service for the same or less money. I asked the sales person if there were any other options for getting internet service and he said no! No? We went back and forth on that for a bit, until he acknowledged that I could get 50 Mbps if I pay $110/month. So that was the end of that deal. I'm sticking with my 30 Mbps at $80/month. Let me know how your experiences with Spectrum go. Just a week after GoPro announced their first drone, Karma, DJI (longtime sales leader in drones) has come out with something much better called Mavic Pro. The Mavic Pro appears to fold down smaller than the Karma; it can go 40 MPH (somebody's going to lose an eye! ); and it has tracking ability. It's also cheaper than the Karma. The Karma is $800. Add a Hero5 and the total is about $1,200. The Mavic Pro is $999 and includes a camera. You can also exclude DJI's new remote controller and save $250, dropping the price to $749. You can skip the remote controller and operate the Mavic Pro from your smartphone. DJI says the Mavic Pro can hover so steadily and its gimbal is so fantastic that you can use shutter speeds as long as 2 seconds on their camera! I am gobsmacked! Here's a video which is nicely lower key than a GoPro video. 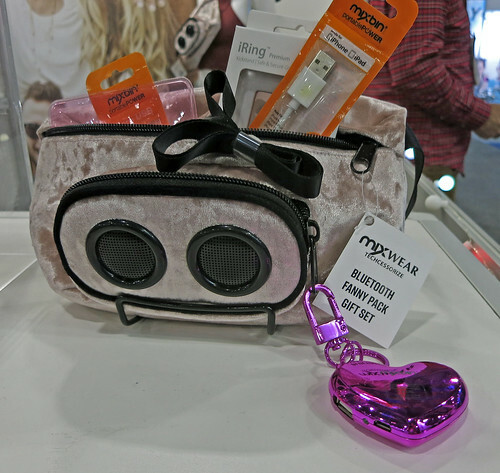 The only way this is going to be a bad deal is if the camera is crappy...so wait for some reviews first. UPDATE: A Mavic Pro test video. It looks like image quality is very good, but a narrower angle than GoPro, which has its pluses and minuses. Here’s a comparison list of features of the Mavic Pro and the Karma. SanDisk announced it has created a prettype of a 1 TB SD card. No word on when it might come to market or what the price might be. A couple of scientists, using MRI, have mapped which parts of the brain respond to certain words. If you want the original article in Nature, here it is. But what you want to see is this easy to understand video. Ideas: they need to do this with other languages too, and with different dialects of English, to see the differences and similarities; where are the obscenities? ; technical words and jargon - let's see how those get mapped. Another drone video of the construction of the new Apple Campus. This one has a few captions, so we know what we're looking at. See Windows 95 boot up and run on an Apple Watch!